Our movie of the month for January is Billy Wilder's dark Hollywood satire, Sunset Boulevard (1950) starring Gloria Swanson, William Holden and Erich von Stroheim. We'll be looking at all aspects of the film throughout January. Today, we're focusing on the film's journey to the silver screen. 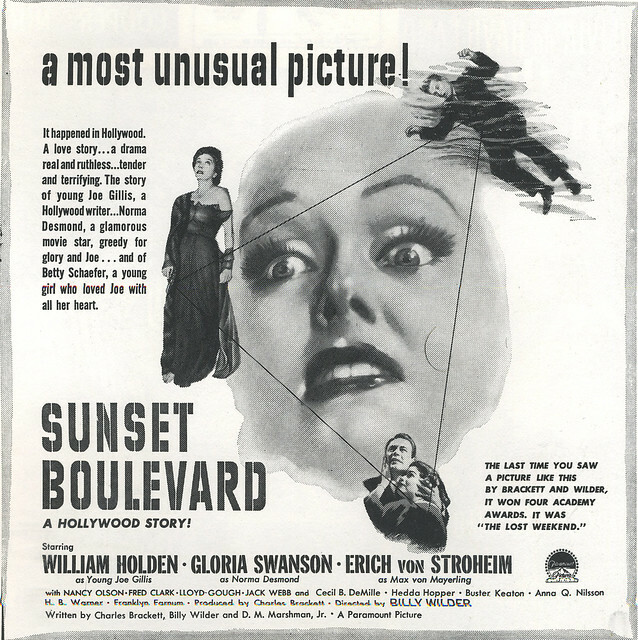 Sunset Boulevard is a landmark film in American cinema, but it took many years for director and writer Billy Wilder to bring his unique take on Hollywood to movie screens. Wilder first conceived of the idea for a film about a delusional silent film star in 1933 soon after he arrived in Hollywood. The transition from silent films to talking pictures was just a few years in the past and Wilder remembered walking to work past the fading mansions of the silent stars on Sunset Boulevard. The fledgling screenwriter wondered how the former kings and queens of Tinseltown were spending their time now that "the parade had passed them by." Wilder never forgot the idea while he worked his way up through the Hollywood ranks, first as an acclaimed screenwriter, then as an acclaimed director. Wilder finally had the freedom to work on Sunset Boulevard after his harrowing drama about alcoholics, The Lost Weekend (1945) won several Academy Awards, including two for Wilder: Best Director and Best Screenplay (that award was shared with Wilder's frequent collaborator Charles Brackett). 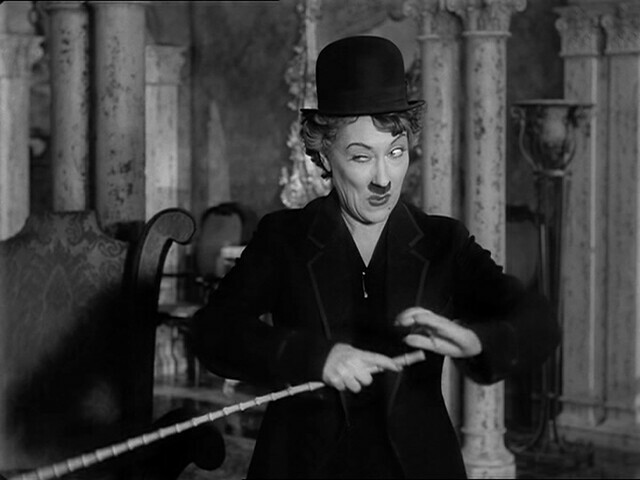 Gloria Swanson reprises her famed Charlie Chaplin impersonation in Sunset Boulevard (1950). Wilder and Brackett began working on the script in 1948. They tentatively titled the project "A Can of Beans" out of fear that Paramount Pictures would shut down the film if they knew the script was a Hollywood expose. 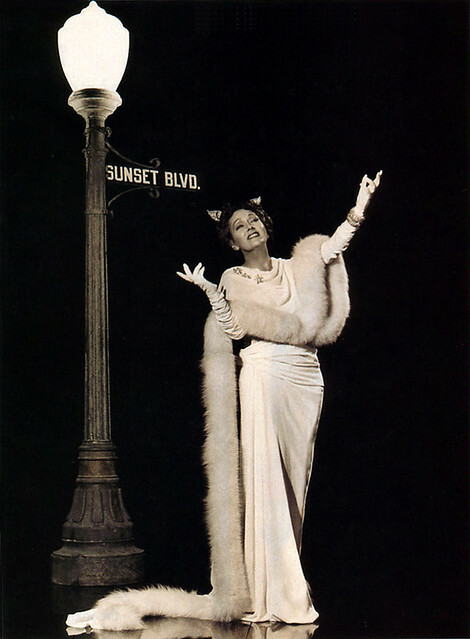 Sunset Boulevard was originally planned as a comedy about a plucky silent star who triumphs over the odds, but Wilder and Brackett weren't making much headway with that angle until their bridge-playing buddy, journalist D.M. 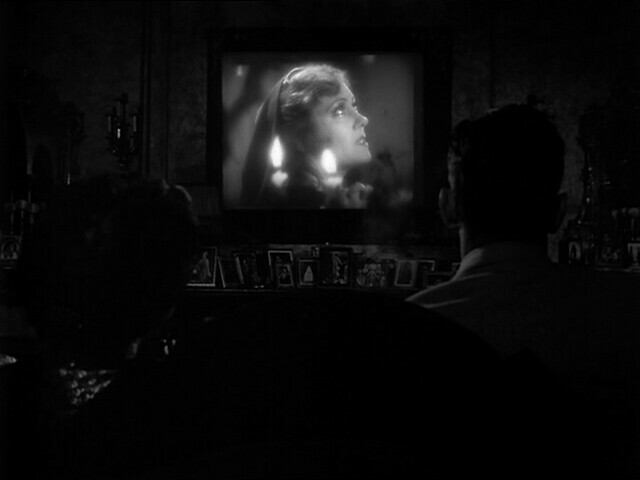 Marshman Jr., suggested that they make the story about a young man in a relationship with a much older silent star. Norma Desmond (Gloria Swanson) gets ready for her close-up in Sunset Boulevard (1950). Wilder and Brackett ran with that idea (Marshman received a screenwriting credit), making the young man a struggling screenwriter. Wilder and Brackett drew from their own experiences in Hollywood to shape the character of Joe Gillis. Wilder even lifted several real-life details from his own budding romance with Paramount contract player Audrey Young (they would later marry) for the relationship between Gillis and Betty Schaefer (Nancy Olson). 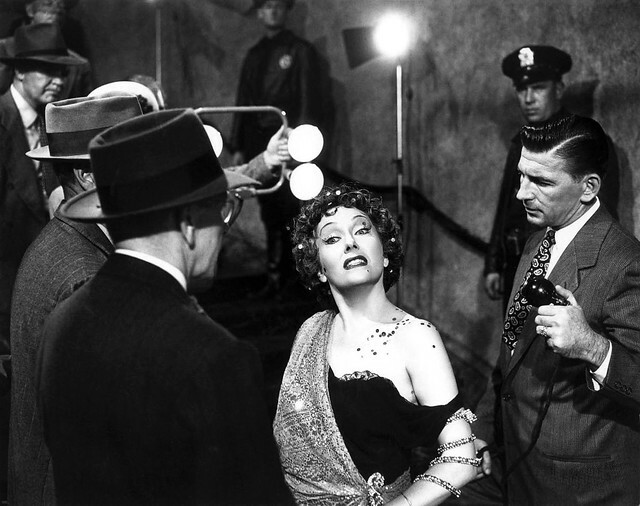 The nature of Gillis' relationship with Norma Desmond was considered extremely risque at the time, so Wilder and Brackett submitted only a few pages of the script at a time to the all-powerful Breen office, which was responsible for censoring Hollywood films. In fact, Wilder was so fearful of the censors and the studio that he and Brackett only completed one-third of the script before filming began. Life imitates art as Norma Desmond (Gloria Swanson) and Joe Gillis (William Holden) watch Swanson's silent film, Queen Kelly (1929). Wilder's next challenge was finding the right actress to play Norma Desmond. His first choice was Mae West, but the legendary diva wouldn't even look at a script that contained "fading film star." Next, he tried Mary Pickford, who wouldn't sign on unless she received complete control of the project. Silent movie queen Pola Negri was deeply insulted by the script, feeling that Wilder had capitalized on her own life story (more on that in another article). 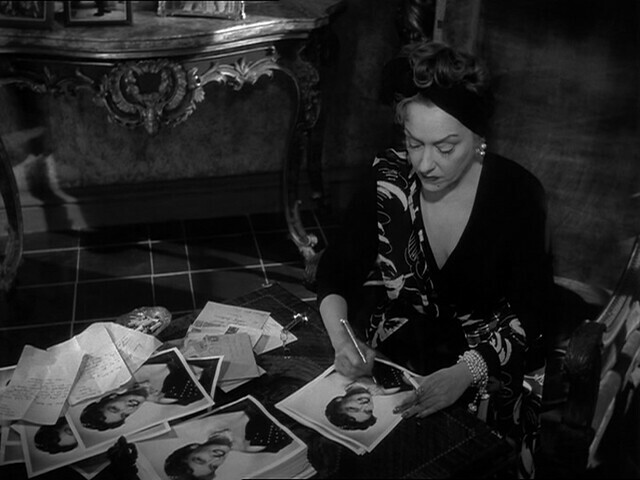 Norma Desmond (Gloria Swanson) diligently signs autographs in Sunset Boulevard (1950). Finally, director George Cukor suggested Gloria Swanson, a leading silent film star for Paramount. Swanson, who was hosting a talk show in New York, was interested in the project, but she was deeply offended by Paramount's insistence that she undergo a screen test. Swanson wasn't nearly as crazy as Norma Desmond -- in fact, she was a shrewd businesswoman -- but she did have her pride and much of Norma's dialogue regarding Paramount i.e. "without me there wouldn't be any Paramount" was lifted directly from Swanson. Finally, Cukor persuaded Swanson to comply, telling her that Norma Desmond was the role she would always be remembered for. "If they ask you to do ten screen tests, do ten screen tests, or I will personally shoot you," he said. 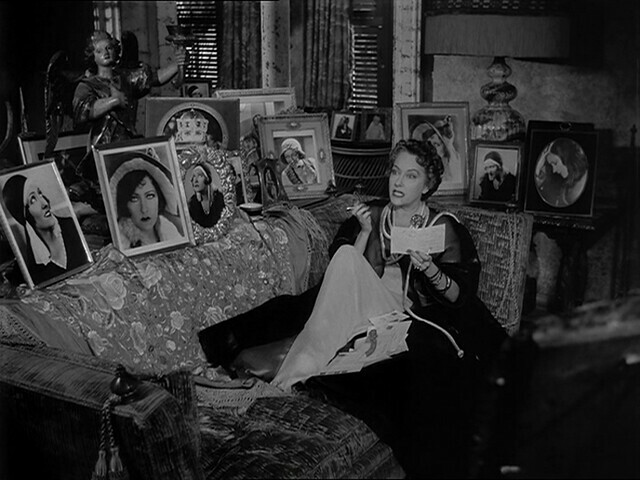 Gloria Swanson decorated Norma Desmond's Hollywood mansion with photographs from her personal collection. Several actors were also considered for the pivotal role of Joe Gillis. Montgomery Clift actually signed on to play Gillis, but withdrew two weeks before the filming because he was uncomfortable with the role of a younger man who was kept by an older woman (Clift had a longtime relationship with singer Libby Holman that mirrored the relationship between Norma and Gillis. Clift had also played a somewhat similar part in The Heirress (1949) and he may have feared typecasting). Wilder badly wanted Fred MacMurray, but he turned the part down, saying the film was morally offensive. Paramount wouldn't hire Marlon Brando because he was too inexperienced, and MGM wouldn't let Gene Kelly out of his contract. Finally, William Holden was chosen, mainly because the struggling actor was so eager to accept the part that he took an extremely low salary. Famed director Erich von Stroheim loathed his part in Sunset Boulevard (1950). The director-turned-butler Max von Mayerling was the easiest role to cast. 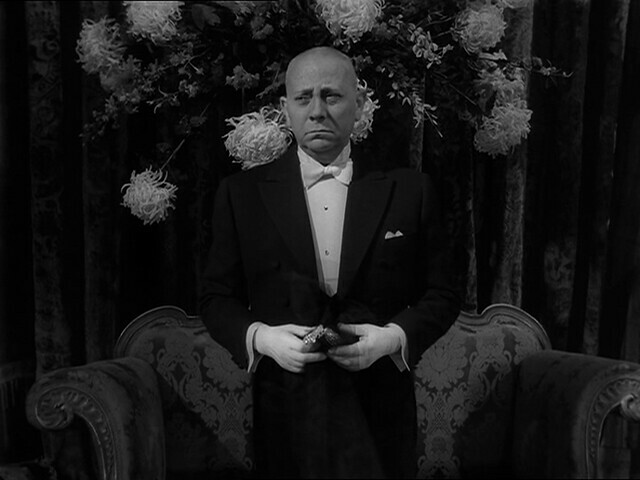 Wilder and Brackett wrote the part with Erich von Stroheim in mind, and he quicky accepted the part because he needed the money. Von Stroheim always loathed Sunset Boulevard, he thought playing a butler was too demeaning, and he refused to watch the completed film. Sources for this article are tcm.com; Sunset Boulevard, From Movie to Musical by George Perry and Andrew Lloyd Webber; Close-up on Sunset Boulevard: Billy Wilder, Norma Desmond and the Dark Hollywood Dream by Sam Staggs and Swanson on Swanson: The Making of a Hollywood Legend by Gloria Swanson. You might also like: Our feature on William Holden's breakthrough film, Golden Boy. Next up, a look at the 1950 Academy Award for Best Picture: a battle between All About Eve and Sunset Boulevard.